Kelly grew up in East Tennessee along the Appalachian trail in an area known as the High Country. So it was natural to develop a love for the outdoors at an early age. Having the highest ski area on the east coast in his backyard Kelly learned to snowboard and mountain bike at over a mile high. But searching for higher mountains and more snow brought him to Alaska nearly eight years ago. 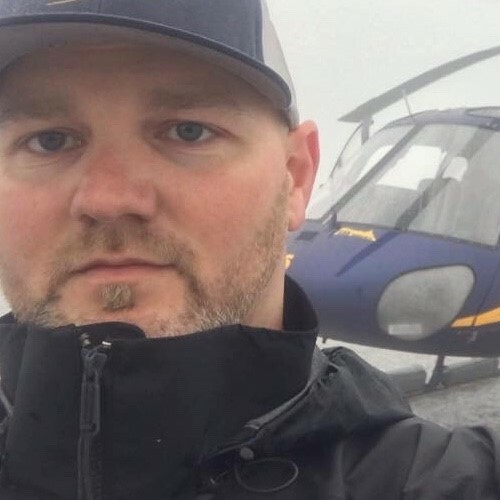 Working as a snowboard instructor in the winter and guiding helicopter glacier treks all summer he has no plans on leaving Alaska anytime soon. He started for a helicopter company in Juneau Alaska where he worked his way up from guiding level 1 treks to level 3 and ice climbing trips on the Juneau ice field. After becoming lead guide he worked on a number of filming shoots providing glacier safety and you might even see him in the background of your favorite Alaska reality show. Kelly has a Snowboard 1, Avalanche 1, Wilderness First Responder, and is a Technical Rope Rescue Technician.